Provide comfort for the family of Donna Zaleski with a meaningful gesture of sympathy. Donna Marie Zaleski, 65, daughter of Philipa (Millie) Amoroso Zaleski and the late Henry F. Zaleski, passed away peacefully on January 27, 2019 after a short battle with early-onset Alzheimer’s. Donna was born on June 22, 1953 in Southington. 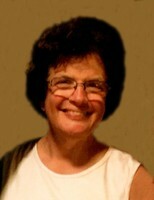 She graduated from Platt High School in 1971 and earned her bachelor’s degree at CCSU in 1976. Donna worked as a teacher’s aide in the Meriden School System, working with persons with disabilities, and later at SNET as a line-assigner. She was a long-standing parishioner of Holy Angels Church in South Meriden. Donna is survived by her brothers and sisters, John Zaleski, Cassie Dibble (Russ), Ann Marchi (Carlo), Mary Sattler (Chris), Gina Zaleski, Luke Zaleski (Kim) and Matthew Zaleski (Kyleen). Donna was also a beloved aunt to many nieces and nephews, Craig Houghton (Sonia), Jonathan Zaleski (Megan), Leila Martin (Matt) and Paul Marchi, Ross (Debora), Benjamin, Gina (and best friend Scott Allison) and Luke DeMay, Jessie Sattler, Kate and George Dibble, Olivia, Natalie and Alexander Zaleski, Henry and Eli Zaleski, Bob Hotchkiss, Scott Bethke and great-nephew Leonardo DeMay. Donna is also survived by her aunts and uncles, godmother Lena Nowakowski (Steve), Lucy Meoni (Ron), Teresa Butler (Jack), Joanne Kennedy (Dwayne), Anthony Amoroso (Sharon) and numerous cousins. She also leaves behind her godfather, Thaddeus Sobieski. She is predeceased by her grandparents, John and Catherine Amoroso, and Henry and Anna Zaleski, aunts and uncles, Josephine Amoroso, Mary and Robert Stevens and Rose and Casimer Nessing. Aside from her loving family, Donna also enjoyed time with the many pets in her life. Donna and her family greatly appreciate the loving care of the dedicated staff at LiveWell, especially Community 1A. In lieu of flowers, donations on Donna’s behalf may be made to the charity of one’s choice. Donna’s family greatly appreciates the many prayers and thoughtful condolences on her behalf. Relatives and friends are invited to attend a Mass of Christian Burial to be held on Saturday, February 2, 2019 at 10 a.m. at Our Lady Queen of Angels Church, Holy Angels Campus, South Meriden. Everyone is asked to meet directly at the church. Burial will be in St. Stanislaus Cemetery. Calling hours will be held at the John J. Ferry & Sons Funeral Home, 88 East Main Street, Meriden on Friday, February 1st from 4 to 7 p.m.
To plant a memorial tree in honor of Donna Marie Zaleski, please visit our Heartfelt Sympathies Store. I had the pleasure of working with Donna at the phone company. I always thought she was a bit quiet, but when you got her to laugh, it was priceless. She had the best laugh. A light gone out too soon. So sorry for your families loss. We were so sorry to hear about Donna. Your family is in our thoughts and prayers.